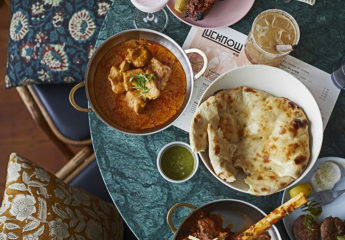 Read on for a summary of the new openings to keep on your radar for the month ahead in London – from a Caribbean-influenced burger joint to an upscale Italian restaurant in Mayfair from Rome and a new restaurant for the Rosewood London Hotel. 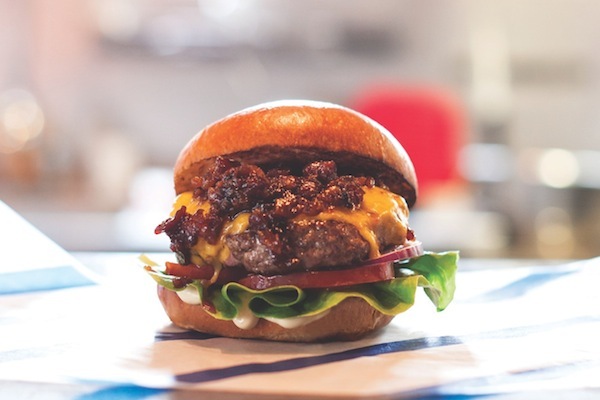 Following the successful pop-ups at The Earl of Portobello and The Doll’s Club, Boom Burger will welcome Londoners to its new home on Portobello Road this month. The Jamaican-influenced burger company will be bringing a taste of the Caribbean to London with plantain fries, Scotch Bonnets mayo, papaya and mango sauce and the Jerk Burger. Boom Burger will be open for lunch and dinner 6 days a week, serving brunch on Fridays and Saturdays. 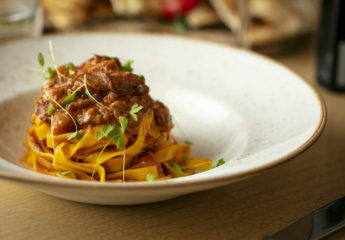 Famed Italian fish restaurant Assunta Madre has announced a new site on London’s Blenheim Street, the group’s second opening and its first venture outside of Rome. The original Assunta Madre is a Roman institution founded by ex-fisherman Johnny Micalusi, serving a selection of fresh fish and seafood dishes to a well-heeled clientèle in the Campo de Fiori area of the city. The new restaurant will be based just off New Bond Street, opening on the 15th February 2014, with a ground floor space seating 90 covers, and a private dining room in the basement for up to 30 diners. If you follow me on Twitter or Instagram you’ll know that I’m a big fan of the Rosewood London, a new hotel on High Holborn with a beautiful design and a fabulous cocktail bar. Adding to its food and beverage offering in late February will be the Holborn Dining Room, the latest from restaurateur Des Mcdonald. The British brasserie has 160 covers and an inner courtyard for outdoor dining. Great Court Restaurant is the latest venture from the Benugo family, due to open this month. With its location in the iconic Great Court in the British Museum, situated on the mezzanine floor above the Reading Room, this is the place to refuel during your museum explorations. The à la Carte menu will feature fresh European classics, while special menus will be available throughout the year, drawing on inspiration from current British museum exhibitions. Great Court Restaurant will be open daily for lunch and afternoon tea, and there will also be a dinner service on Fridays. Florence Knight returns to the London dining scene as executive head chef of the new Polpetto on Berwick Street, the latest (re)-opening from Russell Norman and the Polpo Group, scheduled for late February. On the menu you can expect American dishes such clam chowder and flat iron steak with pastrami butter, which can be enjoyed with a glass of prestige wine or a prohibition-inspired cocktail. Rowley’s restaurant, located on Jermyn Street and housed within the historical Walls butcher shop building, is offering 40% off a Côte de Boeuf dinner for two including unlimited fries, green salad and herb butter. This generous offer is valid until 31 March 2014 (excluding Valentine’s day) and may only be redeemed by quoting voucher code RF30 when booking. Pop-up FISHBone will take up residence in Kensington Place’s private dining room from 1 February 2014 until 31 March 2014. The gourmet fast-fish concept will feature unique creations such as the Salmon Donner, Pulled Skate and Scallopdogs. Enjoy a complimentary Sipsmith Gin & Tonic on arrival on us when you book between 4 February – 29 March 2014. When making a booking, please quote ‘Lifestyle Concierge G&T Offer’ at the point of booking. To reserve a table or for more information, email sarahr@danddlondon.com or call 020 7727 3184. Welcome in the Chinese New Year in style this year at one of Hutong’s exclusive events. Celebrations will culminate on 31 January featuring traditional lion dancers, Chinese musicians and an origami artist. Michelin-starred Chinese dim sum teahouse Yauatcha are partnering with Harvey Nichols to create elaborate store windows, designed to reflect The Year of the Horse. Each guest at Yauatcha will receive a red envelope containing vouchers for fashion and beauty treats, along with a bespoke Chinese New Year cocktail. Hakkasan group’s Executive Pastry Chef has also created bespoke macarons and petits gateaux. Introducing Kensington’s playful answer to the classic American snack, the hot dog. At Dirty Bones expect treacle bacon, beer cheddar, kimchi relish, crispy seaweed, wasabi mayo, washed down with a signature Dirty Bones Martini. Chop Shop has just launched its Sunday Rib Chop set-lunch menu in a bid to banish the January and end-of-weekend blues in one. For £35 you will enjoy a mouth-watering and sizeable rib chop, roast potatoes, a choice of sides and half a bottle of any red wine. Introducing the new Oyster Bar at Wilton’s: think cocktails, Champagne, oysters and foie gras, set to open at the end of this month. Established in 1742, Wilton’s represents the epitome of fine British dining, and as of February it will be open for business on Saturdays for the first time in its long and varied history. Whisky Mist nightclub reopens in Mayfair with a huge range of premium whiskies and designed like a ‘beautiful gothic chapel’. With the return of Whisky Mist comes its new sister club, Rusty Nail, an intimate space for 80 guests, available for private hire. 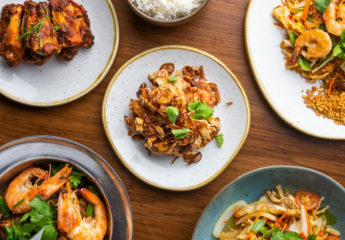 After 18 years in Saigon and Hanoi, Bobby Chinn has launched the House of Ho in London, introducing the Capital to his quirky modern take on Vietnamese cuisine. Vietnam’s rich and fascinating culinary culture is showcased through the use of small signature dishes. The international wine list and various sakes has been selected carefully to complement the flavours and there will also be a host of classic and innovative cocktails on the menu – the Nam Fizz with lemongrass shochu and Prosecco sounds delicious! 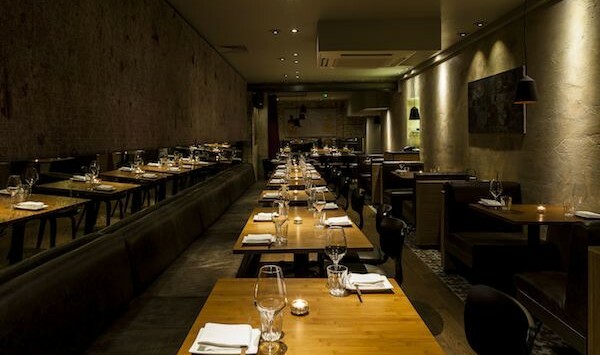 Chef Michael Riemenschneider has London’s latest taste sensation on Marylebone Lane with a ‘create your own’ tasting menu restaurant. Guests will be invited to construct their own tasting menus from a selection of 16 dishes or they may opt for the ‘Menu Surprise’, which involves a 5 course menu of the chef’s choosing from new and off-menu items. Brooklyn Bowl at The O2 is London’s latest food and live music venue. Featuring 12 bowling lanes, 3 of which are elevated with a private bar and party space, and the first Blue Ribbon restaurant outside of the US, the acclaimed NYC nightlife destination will bring a slice of the Big Apple to London. Following a recent refurbishment, the Mamounia Lounge has re-opened in Mayfair, now a stylish affair involving opulent décor of gold, bronze, jewels, plush velvets and leather. The low lighting creates a trendy atmosphere, perfect for sampling a few of the creative cocktails at the elegant upstairs bar. The Prince of Sahara is deliciously fruity – an interesting combination of amaretto and banana.